After a very disappointing 'In the Forest of the Night', the next-time trailer still left us all having to pick up our jaws from the floor. Quite a stunning trailer I must say and my excitement was through the roof as it was going to be the first 2-parter since 'The Rebel Flesh'/'The Almost People' from Series 6. So does 'Dark Water' live up to what the previous 10 episodes set up? Holy damn. Yes, yes, a thousand times; yes. 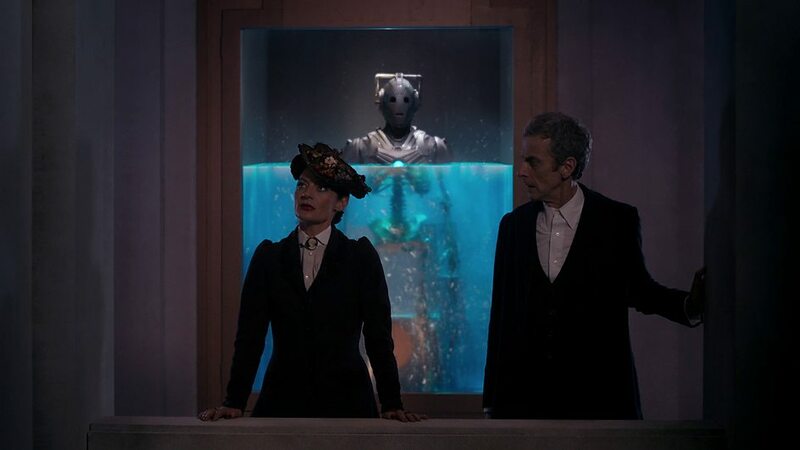 'Dark Water' is not only one of the best episodes of the Season but for a penultimate episode, 'The Pandorica Opens' is probably the only one it does not quite reach out of all the series finales of New Who. This is a stunningly put together story, offering some of the darkest ideas the show has ever explored while also beautifully tying in some old ones. Steven Moffat has definitely made sure that he is not messing around here as he does not try to dumb any of these themes down even the slightest. This is really what the show needed after 'In The Forest of the Night' and it is very safe to say that I thoroughly enjoyed it on nearly every level conceivable. Really the main problem here is that it might actually be a bit TOO good because I was wondering as I saw it for the first time when it aired - just how is the finale 'Death In Heaven' going to top this? Peter Capaldi is on top form as usual, he gets one of his best scenes of this entire season with Clara inside the TARDIS right before they head out to find Danny. His line delivery is so spot on that it feels like he has played this character for years now. While the speech in 'Flatline' still remains my favorite of his, this is definitely a close second as it is a lot more laid back but the overall meaning behind it is so much heavier and it makes for a stunning scene. To lay the groundwork Steven Moffat focused on letting the audience see glimpses of this mysterious "Missy" throughout the season but here we get to see her in full form, ready to to be just about as creepy as we imagined her to be. There is something wonderfully entertaining about watching her on screen despite the fact that she really does not do a whole lot her to begin with. The writing leaves the possibilities of who she actually is quite open when it could easily have been the easiest thing in the world to figure out. While of course some people had worked it out - the final reveal was still a terrific scene and it was so refreshing to see a cliffhanger done in this way again. Really my only problem with her in this entire episode is when she grabbed the Doctor and ran her tongue down his throat like crazy. It really did not fit in with the tone of the episode and I was hoping we had moved on from the days when the Doctor would kiss/get kissed by all the female characters in the show. This is Rachel Talalay's debut episode in the show (she is later coming back directing the finale for Series 9) and she does quite a magnificent job. If it was not for Douglas Mackinnon being Douglas Mackinnon, she would be my favorite director of the season. The way she frames the shots are wonderfully eerie as you could imagine anything happening at any given moment. The pacing is soothingly slow which is something I really want to see more of in 'Doctor Who' as the show does not HAVE to be big and bombastic each week. The only other thing I have seen Rachel Talalay direct is 'Freddy's Dead: The Final Nightmare'... which is a terrible film by the way so my thoughts on her as a director definitely improved significantly with this episode. Things kicks off right at the start as we "see" the death of Danny Pink - which has to be one of the more surprising pre-opening title sequences ever put in the new series. Not necessarily the death of his character, more the way he died. There was no flashy or badass scene, no self sacrifice, nothing caused by aliens... it was a simple "boring" death. If there is one problem with his death is that we did not really get to see the kids at Coal Hill react to this as of course we have witnessed them snickering about Danny and Clara being a thing all season. What I do love though is the Doctor's reaction to this, yes he may not have been a big fan of Danny (or P.E.) 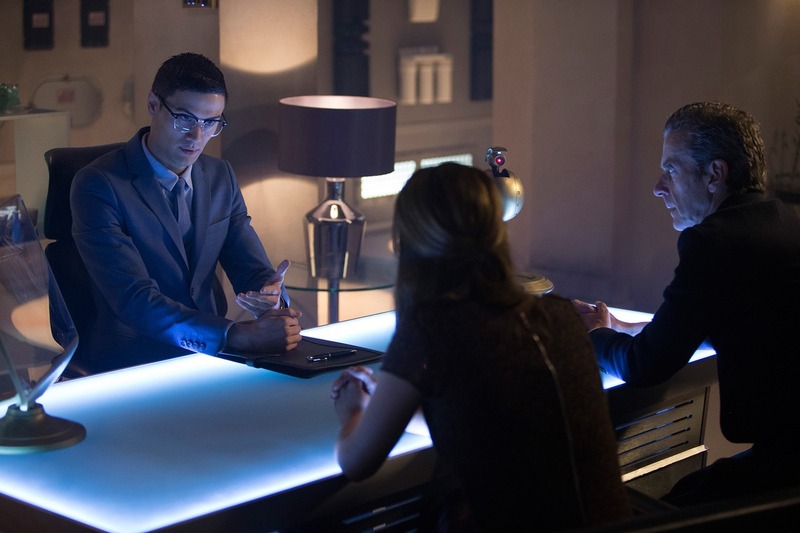 but he is still open to helping Clara find a way to bring him back. It is quite moving television and it makes for a really personal kick off to a finale. This also contrasts quite a lot to 'Death In Heaven' in terms of scale (and we see a tease of what is to come by the end of the episode). The best scene has to be the one right at the end, were Clara and Danny are talking to each other and how Danny quite subtly gets Clara to hang up the call in order to save her. It is a great scene and it brings back the brilliant score by Murray Gold from 'Listen' called "Fear" - which is my favorite out of the ones from series 8. 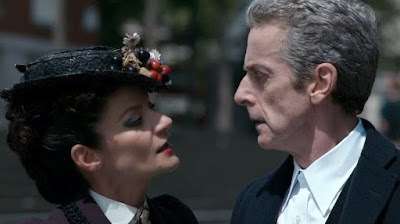 Intercutting that scene with the Doctor and Missy worked really well thematically as your heart beats faster than a time lord's when you find out Missy is actually a time lord herself (or time lady). I also really liked the scene when Danny first appears in the nethersphere. Even after you die there is still a lot of paperwork to do. Having the setting look like a boring cubical office is also quite depressing actually. While I will talk more about Missy's grand plan in my review of 'Death in Heaven', I will say however I really loved the use of the matrix and the cybermen here. "Cybermen from cyberspace" is a really good concept and it added beautifully to the cliffhanger. Really everything was leading up to that cliffhanger and whether you figured it out before it happened - you cannot deny that it was really well done. No it does not compare to the other "I am the Master" cliffhanger in 'Utopia' (which is one of the best cliffhangers I have ever seen) but as an overall episode I prefer 'Dark Water' because there are more interesting ideas being explored and there are a lot more memorable scenes other than the final moments. By the way as a tiny, tiny nitpick - I would rather have the episode ending without the "To Be Continued" titlecard as I prefer when these cliffhangers have the sting overlap and then cut to the credits (I shall not use this against the actual quality of the episode though). Overall, while I am preserving most of my thoughts for 'Death In Heaven', 'Dark Water' is an excellent set up with some of the darkest and most interesting concepts the show has ever explored and it is great to see that even though this is the 34th season - there are STILL new ideas being thrown around. Peter Capaldi is great, Jenna Coleman is great, Michelle Gomez is great. All three of them are great and I am really excited to see what they have in store for us in 'The Magician's Apprentice' later this week. Rachel Talalay knocked it out of the park with the slow moving scenes - something that I always like when 'Doctor Who' decides to do. 'Dark Water' is one of the best episodes of the season and opens up the possibility really wide for one of the best season finales the show has ever had. It is just up to 'Death In Heaven' to cap it all off.